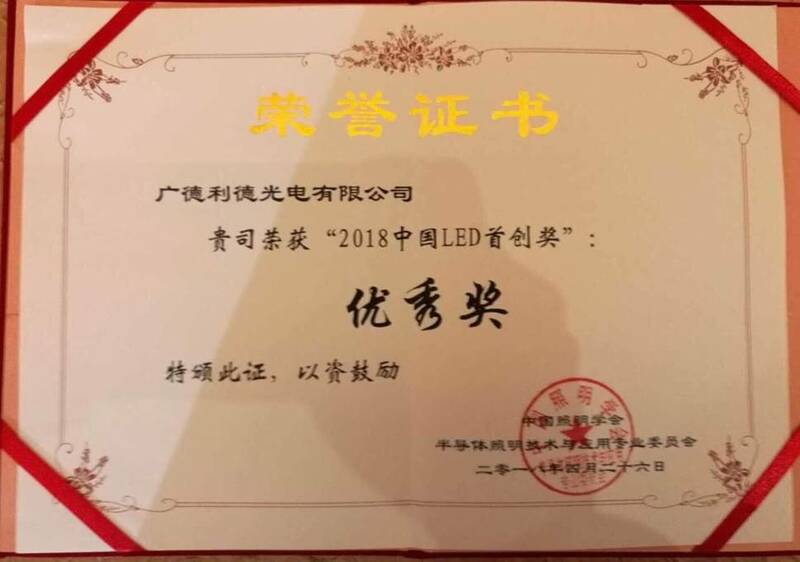 On April 26, 2018, Aurio Lighting, Inc. received the Award of Excellence at the 5th Annual LED Innovation Awards of China. The event was held in Zhongshan, Guangdong, China and was attended by leaders in the LED industry along with their engineers and business representatives. A panel of distinguished members deliberated and awarded the 2018 Award of Excellence to Aurio Lighting, Inc.
We graciously accepted the award and would like to convey our gratitude to the panel of experts, the LED Innovation Committee of China, The National Equities Exchange and Quotations of China, and last but not least, the hard working men and women at Aurio Lighting, Inc. who work tirelessly each and every day to help Aurio Lighting, Inc. become a leader in LED technology and manufacturing.